Hey there! These brushes look great! When I click on the links to DL each brush (on my iPad Pro) it takes be to a page of gibberish- A page filled with random characters. When you click on a brush, you should see this message in Safari on your iPad, asking you if you’d like to open this link in Procreate. You say “Open in Procreate”, then Procreate should open (only if it’s installed on that iPad of course), and inside Procreate you’ll get the message “Brush Imported”. 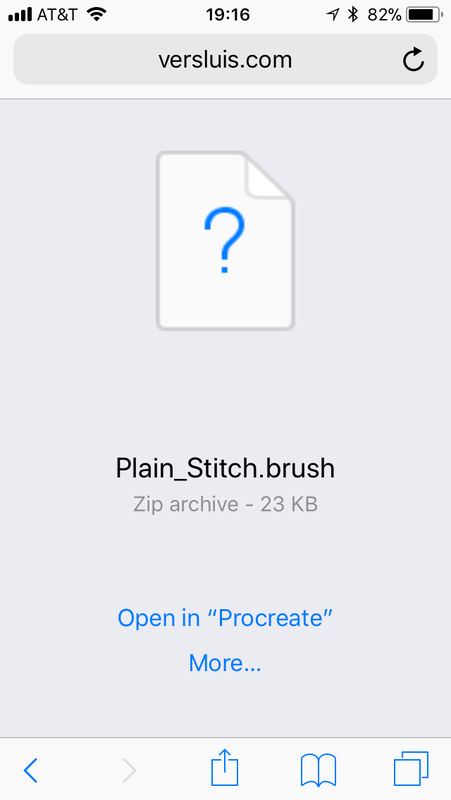 It’s then available inside a folder (or collection) called Imported Brushes I believe. At least, that’s what happened with versions up to Procreate 3. 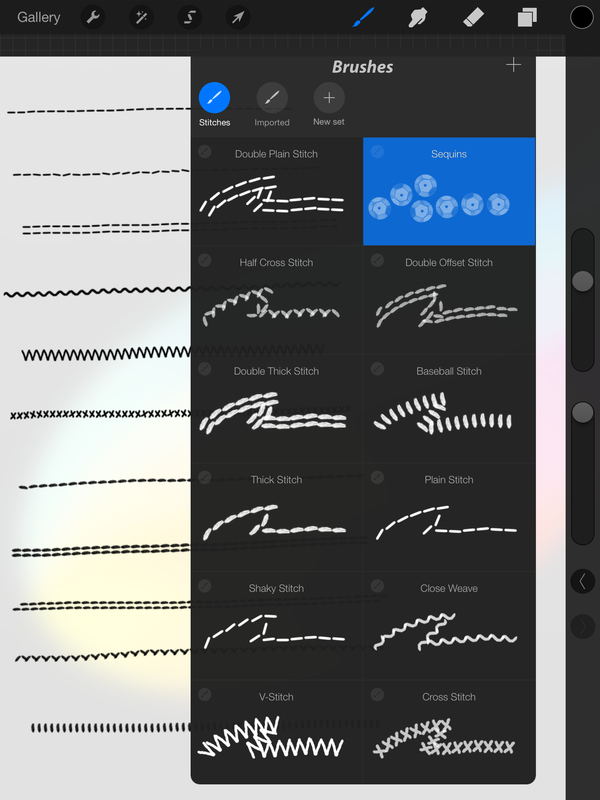 So either this doesn’t work anymore since Procreate 4, or Procreate isn’t installed on your iPad, or your iPad Pro is so clever that it tries to unzip the contents of the brush, which is then shown as those gibberish characters. Sadly I don’t have an iPad Pro, so I can’t test this myself. If the above screen does come up, you can also try to select “More…” and then choose “Copy to Procreate”, perhaps that yields better results. Let me know how it goes, would be nice if we could get this sorted. Hi, is there another way to download this? Or is it not working anyomore? This is so awesome i’d reaLly love to use it! It works great with Procreate 3 as described, but since I don’t have an iPad that can cope with iOS 11 or higher, I have no way of testing it with the latest version of Procreate. You can always scour the Procreate forums and see how you can transfer Procreate 3 brushes to the latest version, or how to load brushes from the web into the latest version of Procreate. If anything needs to be done at my end, please let me know and I’ll do it. Good luck! Wow! Such a nice gift!!! Very useful brushes, already love them all! Thanks, Crispo – that’s great to hear. Hey I’m curious, are you on Procreate 4? And do the downloads work on this site? I can’t afford a new iPad right now and I’m stuck with Procreate 3. Downloads are working fine there, but I keep getting the odd report from users who seem to have a problem on the latest version of iPads and Procreate. Thank you so much! I’ve downloaded the brushes, but they don’t seem to work when I choose them in Procreate. Any thoughts on why they won’t draw? Hi Paul, sadly I don’t know – I haven’t got hardware that can run the latest version of Procreate. These brushes worked fine until and including Procreate 3, as well as Procreate Pocket. Any advice as to where to go to find a good tutorial about creating these brushes?